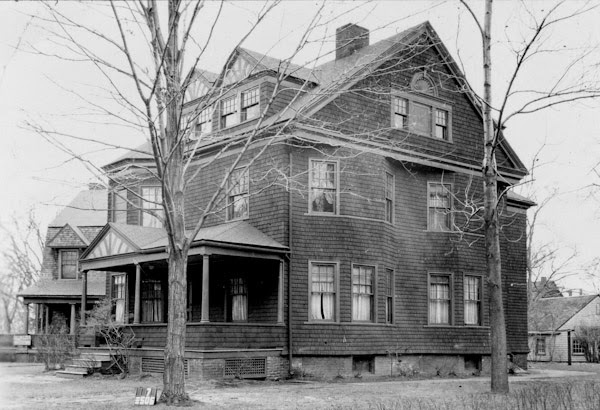 The house at 145 Clarendon Street in Springfield, around 1938-1939. Image courtesy of the Springfield Preservation Trust. Springfield’s McKnight neighborhood features many fine examples of late 19th century architecture, although virtually none were designed by architects of national significance. Instead, many of the homes were designed by local architects, including Guy Kirkham, who designed this house in 1892 and lived here for 17 years. He was born in 1864, and was the son of William Kirkham, a jeweler, and Harriet Merriam, who was the daughter of the famous Webster’s dictionary publisher Charles Merriam. William died when Guy was young, and Harriet remarried in 1877 to Charles Hosley. Kirkham studied architecture at MIT, and after graduating in 1887 he apprenticed in Minneapolis and New York City, and then spent several years studying in Europe. 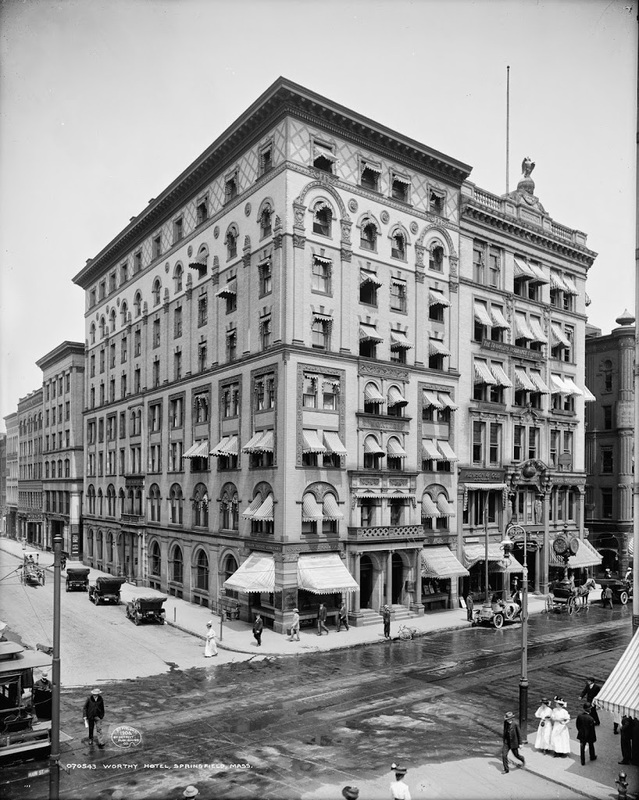 In 1892, he returned to Springfield, married his wife Grace Dwight, and started his own architectural firm. That same year, he built this house, just around the corner from where his mother lived. This house would have been among his earliest works, and incorporates elements of Shingle-style architecture. He undoubtedly would have learned about this style while at MIT, since it was widely popular in the 1880s, especially in wealthy New England coastal resort communities. 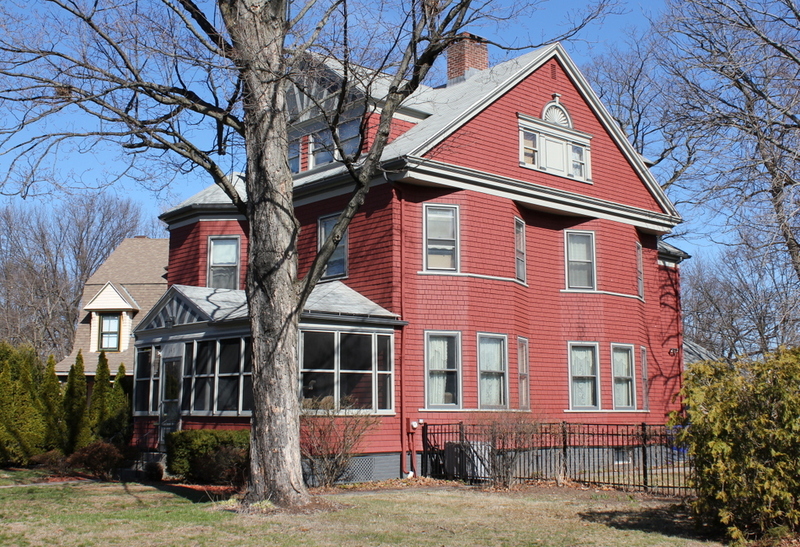 This house was one of about ten that Kirkham designed in the McKnight neighborhood, but he also designed a number of other important buildings in Springfield, including the Hotel Worthy, the Howard Street School, the High School of Commerce, the Forest Park branch library, the old YMCA building at 122 Chestnut Street, and the current MassMutual headquarters on State Street. Most of his works were in Springfield, but he did design a few buildings in nearby towns, including libraries in Chicopee and Hadley, the Unitarian church in Northampton, and the gymnasium at Wilbraham-Monson Academy. The Kirkhams lived at this house until 1909, when they moved into a new house nearby at 120 Clarendon Street, which he also designed. Their old house here was sold to Guy’s half brother, Walter Hosley, a physician who lived here for about a decade. By 1920, the house was owned by Raymond Wight, a paper company executive, and a decade later it was owned by Leiceser Warren, who was also involved in the paper business. Since then, there have been a few changes to the exterior, including the enclosed porch and a single, large gable over the dormer on the third floor. Otherwise, though, it is a well-preserved example of Shingle-style architecture, and it is part of the McKnight Historic District on the National Register of Historic Places. The building at 136 William Street in Springfield, around 1938-1939. Image courtesy of the Springfield Preservation Trust. Springfield was experiencing rapid growth in the 1860s. The Civil War had drawn many to work in the Armory and other factories that contributed to the war effort, and the city grew by 45 percent between 1860 and 1865. With an expanding population came more social problems, though, and in 1865 the Home for Friendless Women was established to provide temporary housing and services for needy women and children. Among the founders, and the organization’s first president, was Rachel Merriam, the wife of dictionary publisher Charles Merriam. The original building was located on Union Street, directly behind the Merriams’ house on Howard Street. Among those who found shelter here were girls and women fleeing physical and sexual abuse, as well as “fallen women,” a Victorian euphemism for prostitutes. Despite its somewhat bleak-sounding name, the Home for Friendless Women provided much-needed services at a time when such assistance from the government was essentially unheard of, and it was the first charity of its type in the region. 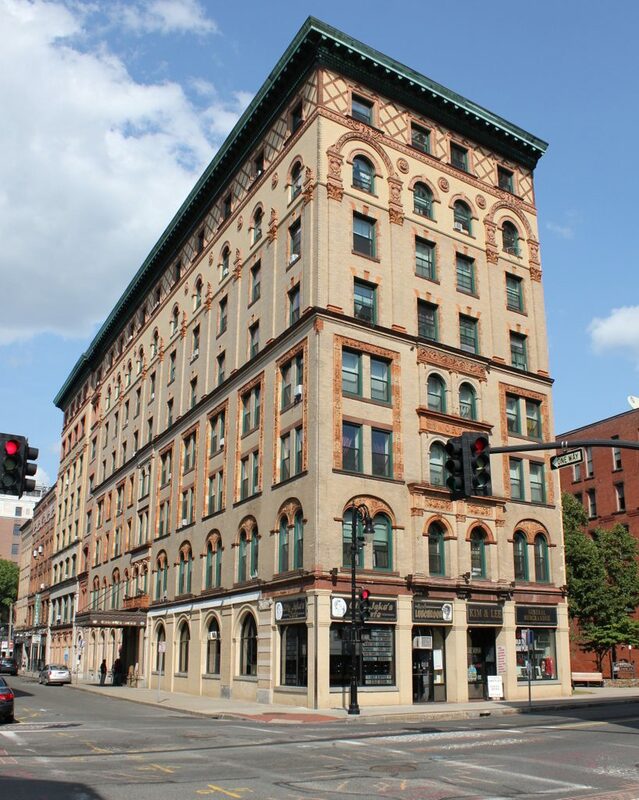 By the late 1880s, the old Union Street building had become too small to meet the growing needs of the organization. After Charles Merriam’s death in 1887, Rachel donated her house on Howard Street. This became the new facility for a few years, but there was still a need for a new building, so in 1897 they opened a new building on William Street, which is seen here. Its design reflects the Colonial Revival style, which was coming into popularity at the end of the 19th century, and it was the work of local architects Benjamin R. Bushey and Guy Kirkham. 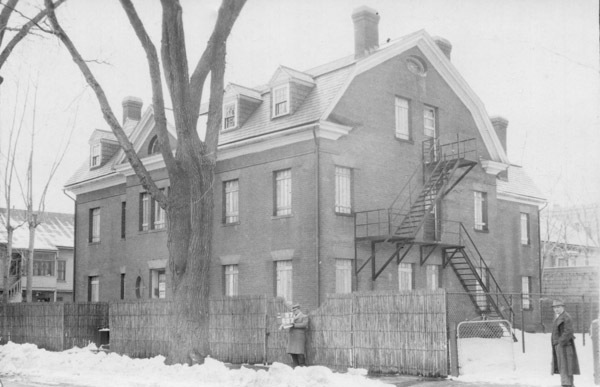 Over the years, the building provided shelter for women in a variety of situations. Census records during this time give an interesting snapshot of who was living here, and in 1900 there were ten residents, which included four elderly widows, four single girls in their teens or early twenties, and two young children. 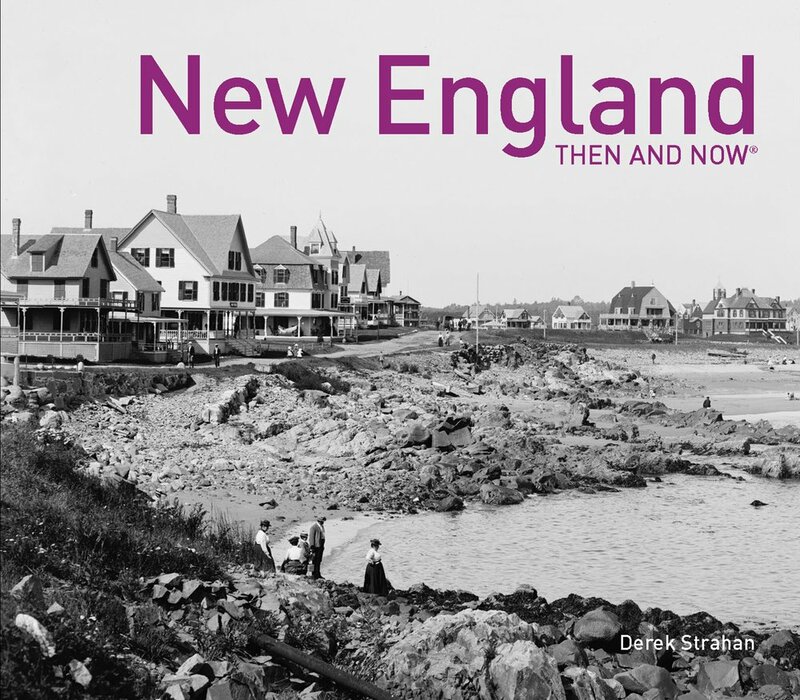 Ten years later, in 1910, there were 13 residents, most of whom were elderly and/or widowed. There was also a 36 year old single woman and her infant daughter, plus two teenaged girls and, rather curiously, a 13-year-old boy who does not appear to have been related to anyone else at the home. By the 1920s, it became known as the Home for Girls, and focused exclusively on serving unwed mothers and expectant mothers. This facility was still in use when the first photo was taken in the late 1930s, although overcrowding led the organization to move elsewhere in 1940. 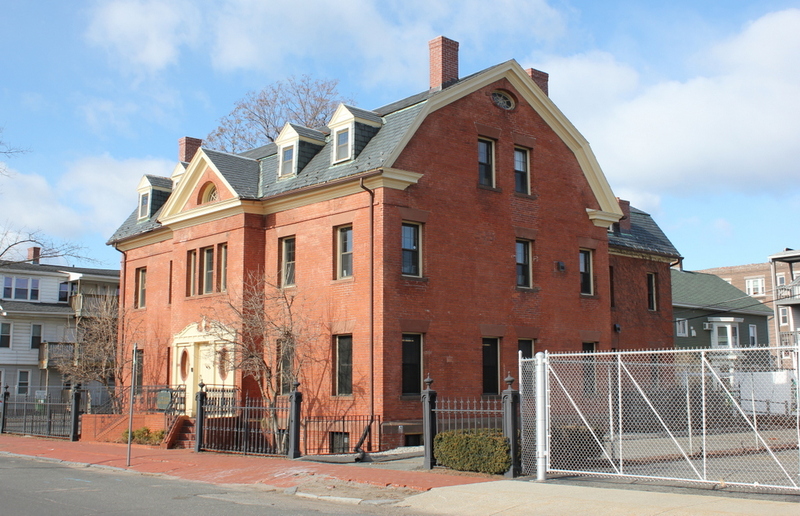 By this point, the South End had become largely Italian, and the building became the lodge for the Sons of Italy, an Italian-American fraternal organization. Although they no longer use the building, it is still standing, with few exterior changes, and it is an excellent example of institutional Colonial Revival architecture in the city. As for the Home for Friendless Women, the organization is now known as the Children’s Study Home, and continues to serve Springfield more than 150 years after Rachel Merriam helped to establish it. The Howard Street School, seen from Howard Street, around 1938-1939. 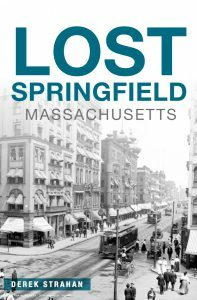 Courtesy of the Springfield Preservation Trust. 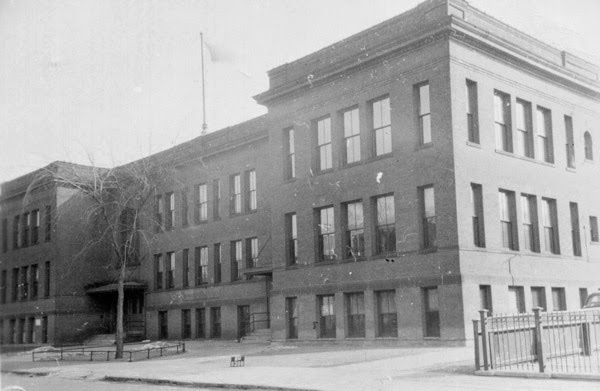 The Howard Street School was built in 1905, and was one of many school buildings built in Springfield around the turn of the 20th century, which included Forest Park School, Classical High School, Chestnut Junior High School, and the Technical High School. This school was used for over 100 years, and was most recently known as the Zanetti School. The Zanetti School moved to a new location in 2009, and two years later the 2011 tornado caused substantial damage to the building. It has been vacant ever since, and it is now slated to be demolished to make way for a parking garage for the planned MGM Springfield casino. 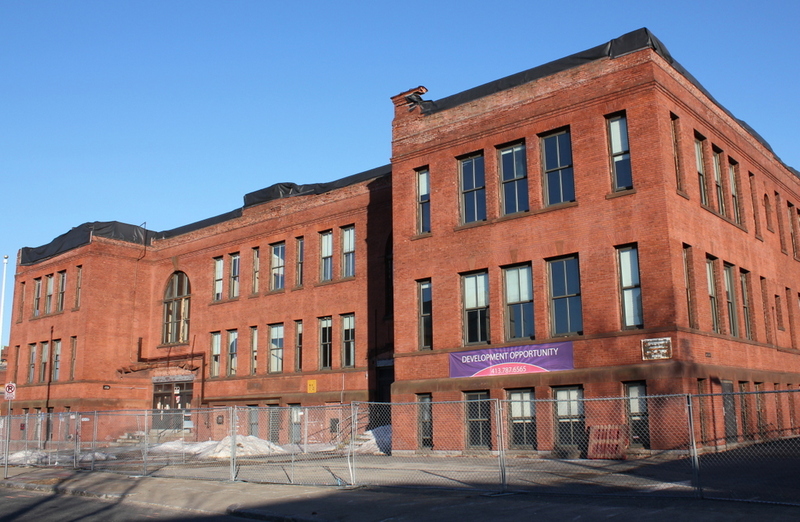 The 2015 photo was taken on March 24, the day of the ceremonial groundbreaking, and the old school building is to be the first building demolished, once the Massachusetts Historical Commission signs off on it. The Hotel Worthy, at the corner of Main and Worthington in Springfield, around 1908. Image courtesy of the Library of Congress, Detroit Publishing Company Collection. Unlike many of the other views of downtown Springfield from the turn of the last century, almost nothing has changed in this scene. Taken from the corner of Main and Worthington, with Worthington to the left and Main to the right, most of the buildings in this photo have survived. The only exception is the building to the immediate right of the Hotel Worthy, which is now a public square. The historic hotel itself is now an apartment building, and the buildings beyond it to the left down Worthington Street now house a variety of bars and restaurants. One of these, Smith’s Billiards, has actually been open since before the 1908 photo was taken, and it is supposedly the oldest pool hall in the United States.